Flamingo represents a combination of innovative technologies, resulting in an eye-catching leather unlike anything else on the market today. First, the hides are aniline-dyed, then embossed with a small-scale reptile pattern. Next, a metallic transfer print is applied, superimposing a cloudlike pattern on the leather. 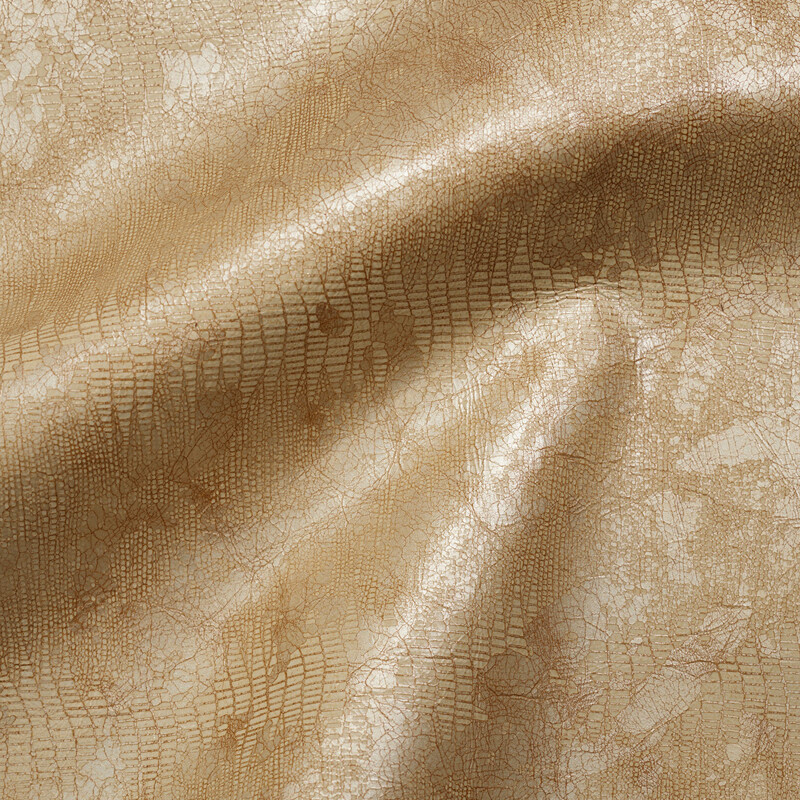 A light film is added to seal and protect the leather, and finally, the hides are dry-milled so that the metallic overlay develops a crackly texture. Note: Environmentally friendly Flamingo is lead-free, emits low VOCs and has achieved an Indoor Gold Advantage certificate from SCS.